Not all spirits are created equally. Evan Williams is not Jack Daniel's is not James Oliver whiskey. And just because a liquor is local doesn’t necessarily make it better. Fortunately, Oregon’s diverse spirits industry has a growing list of well-crafted spirits available to Portland’s local bartenders, who are ready and willing to make their end products as locally sourced as ever. 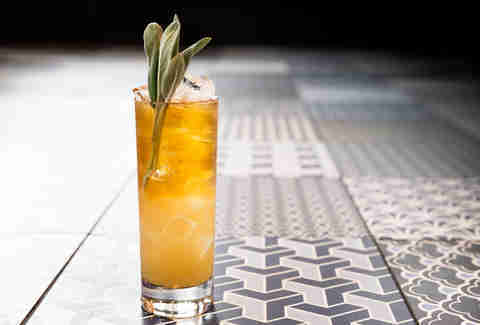 But asking your server “Where is the liquor from?” makes you sound a little like a pedantic snob, so we’ve scouted the current bar scene to find 10 cocktails made with regionally based spirits so you don’t have to be that person. You should be drinking these right now. 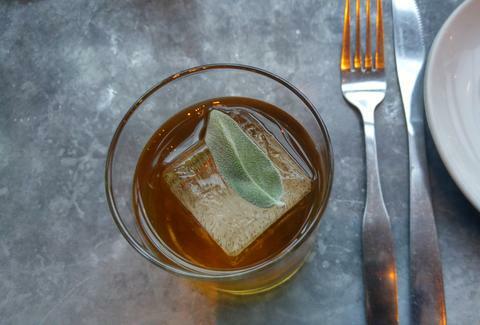 Tasty n Sons takes this revival spirit, developed after the popular fashion during the 1800s in tandem with David Wondrich, one of the cocktail world's foremost experts, and combines it with savory sage in the Sagebrush Old Fashioned. Old Tom Gin, which is made much sweeter than London Dry gin through its distillation process, is combined with maple, sage, and Boker's bitters. 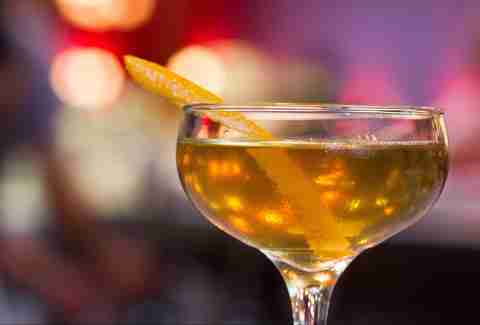 If our state were sippable, this piney, prohibition-era drink is what it would taste like. Ask for the Blood Moon at The Fireside NW -- a cocktail that’s a slightly bitter and savory with balanced notes of citrus. DL Franklin Vodka, made with a corn base (instead of potato) and filtered through coconut-husk charcoal makes for an intriguing blend of activated carbon, limestone, and lava rock, which gives the spirit a smooth creaminess that's not found in most other vodkas. It’s mixed with Cocchi Americano, Dolin Blanc, Blood Orange & Lemon Thyme shrub, Slivovitz Plum eau de vie, and garnished with a blood orange moon. The flavor in Trifecta Tavern’s Charred Orange Wood Alaska # 1 comes primarily from the restaurant’s wood-fired oven. Bartender Colin Carroll and the team use to speed up the barrel-aging process by charring different types of wood and then infusing the chips into the cocktails made with Union Gin, a versatile, traditional London-style dry gin, yellow chartreuse, fino sherry, and orange bitters. Charred Orange Wood Alaska # 1 is smoky, bitter, and sophisticated all at once. 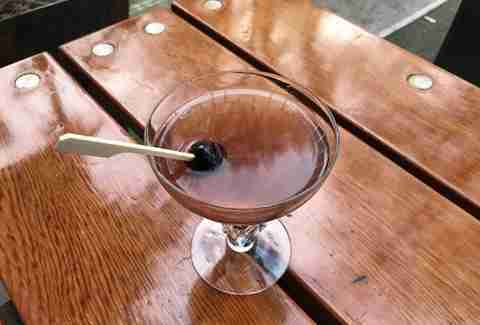 Portland Meets the Big Apple is Park Kitchen bar manager Curtis Day’s inspired take on a classic Manhattan with an Oregon twist. Clear Creek’s two-year barrel aged Apple Brandy is steeped with piping hot roasted hazelnuts (or Filberts) for a few hours. The strained mixture is used as the base for a Manhattan (sweet vermouth and bitters) that's as close to apple cider as a cider-less cocktail comes. Superbite's Nature Nurture will force you to re-think your misconceptions about plum brandy as a liquor meant just for your grandparents. Clear Creek Plum Brandy, concocted faithfully after the classic French eau-de-vie, is made from fruits grown in the Hood River Valley, and mixed with IPA, Benedictine, plum brandy, lemon, and sage to make up this lovely floral drink. 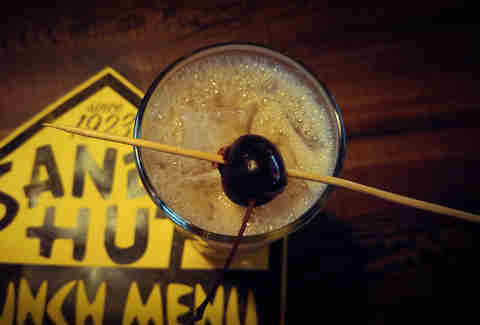 Born-again Sandy Hut uses New Deal’s popular chocolate vodka in Moko Ono. Surprised as you may be of flavored vodka not being absolutely disgusting, Mud Puddle takes on merely the essence of a dark chocolate instead of the undrinkable syrupy, overly-sweetened stuff we've come to associate with flavored vodkas. This drink is the perfect boozy eye-opener for those who don’t care to go the Spanish coffee route. Alongside Stumptown Coffee’s cold brew, there’s Amaretto and Carolans Irish Cream. If Portland had a booze darling, Aria might be it. The English-style gin has taken off over the last few years, finding itself behind the bars of many of Portland's finest drinking establishments, including Bit House Saloon. 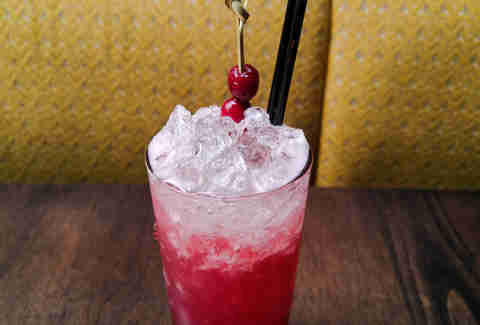 Routinely updating its menu with fresh and innovative cocktails, Bit House will soon offer the Pacific Harvest. This not-too-sweet seasonal cocktail is made from a subtly crafted mix of Aria Gin, Pine Zirbenz, Lillet Rosé, Starvation Alley cranberry, vanilla, and a squeeze of lime. 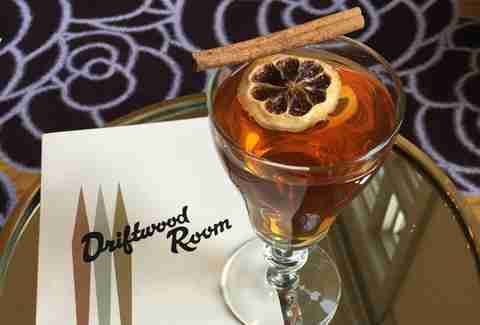 Driftwood Room has mastered the art of the anti-normie toddy. A cohesive mixture of Appleton Estate Rum, Townshend’s Bluebird Liqueur, honey and lavender syrups, and hot water is anything but basic. Alpine Liqueur's bevy of aromatic spices adds a depth of flavor not found in your average hot drink. 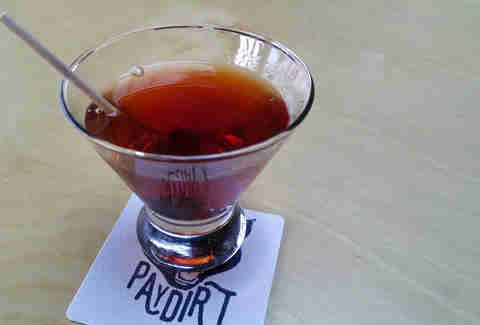 The House Manhattan at Paydirt is everything we want in a Manhattan and with local rye: James Oliver Rye -- Indio's flagship spirit, Carpano Antica, bitters, fancy cherry, served up. 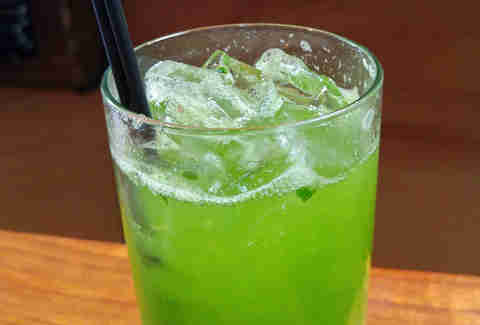 Green is Trending at SideCar 11 is an adult Ecto-Cooler that may hopefully help ward off gout this winter. Rose City Vodka is muddled with spinach and cucumber, lime, sugar, and Dolin Genepy for the greenest cocktail you'll drink this season. 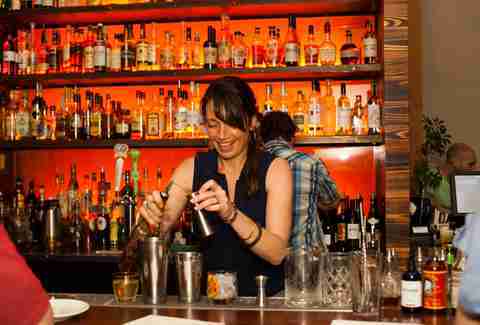 Karen Locke is a food and drink writer who believes the darker the bar, the better. Visit her website.